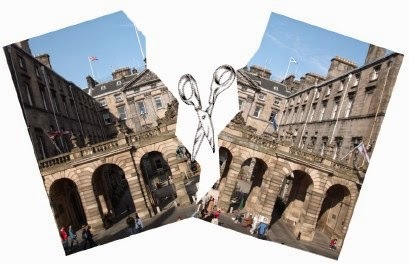 As you will be aware the City of Edinburgh Council is looking to replace the current Voluntary Release (VR) Terms with a new Voluntary Severance Scheme. UNISON has examined the proposals and, despite Council claims of an ‘enhanced’ scheme, the terms are either very similar to the basic statutory minimum or slightly better. Having sought legal advice there is no general claim of discrimination in terms of the scheme offered but we will closely monitor how it is being implemented. The existing VERA and VR terms still apply for now and the new terms will not apply until approved by the Council’s Finance and Resources Committee in September. Details, and the all important timescales, will be available on the Council Orb. Any job lost through Voluntary Release (VR) will not be replaced and can only be viewed as a cut to jobs and services or additional work being piled on the staff left behind. We therefore must oppose any form of redundancy in an effort to protect our members. However, we do understand that many of our members may decide to leave their employment. With this in mind, we will seek to ensure the Council provides clarity to all members of staff to ensure that they are able to make an informed choice. There are different terms and amounts depending on whether or not you are subject to organisational review or not and also whether you are part of the pension scheme. As such the issues for individual members will often be particular to them in terms of their personal circumstances and so general advice will not always be helpful. We would therefore advise members to consult with their managers and the Lothian Pension Scheme in the first instance. We will also continue our campaigning with the Scottish and UK governments for proper funding for local government and an end to the savage cuts that have seen services cut to the bone and 50,000 council jobs lost across Scotland.